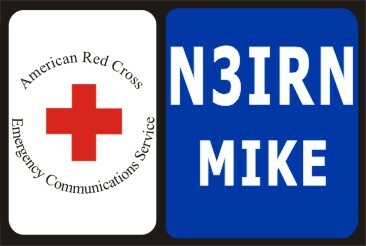 RED CROSS Call Tag customized with your call sign & name. 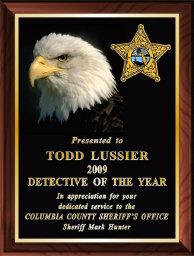 Available in 2 sizes 2"x3" & 1 1/4"x3"
CALL TAG Size 2 X 3 Custom Engraved with Name and Call Sign. Comes with pin back.Rose Design. CALL TAG Size 1.25" X 3" Custom Engraved with Name and Call Sign. Comes with pin back.Tower Design. CALL TAG Different Designs for each State Size 2 X 3 Custom Engraved with Name and Call Sign. Comes with pin back. Most Organization Designs Available see Ham Radio Section of Web Site. Custom Door Sign size 6" x 6" or 8" x 12" mounted with double faced tape or nail. Can be drilled and mounted with screws. Customized with your call sign. Aluminum. Available with or without Radio Room or Radio Station. Solid Walnut Desk Plate with your call sign and name. 8" wide x 2" high. 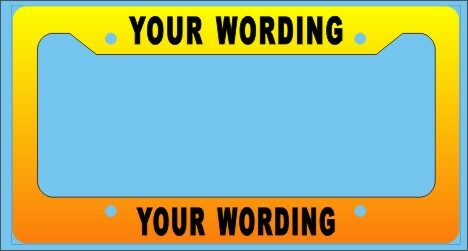 Full color full size license plate attachmentcustomized with your call sign. UV safe made of Aluminum. 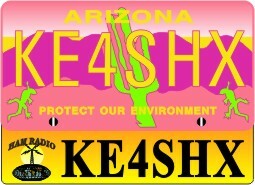 Mounts below or above & behind your license plate.Size 3 1/2" x 12". 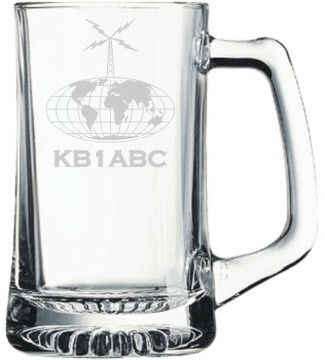 Available with globe/tower design or any ham organization logo. Also available with your club logo. Full color full size license plate frame customized with your call sign or second call sign or name on top.. UV resistant made of Space Age Fiberglass. 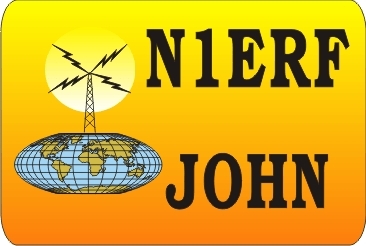 To order with Amateur Radio wording on top just indiacte your call sign. HAM RADIO MOUSE PAD Indicate State Desired Custom Imprinted with Your Call Sign and Name. See Mouse Pad Section for State Designs. 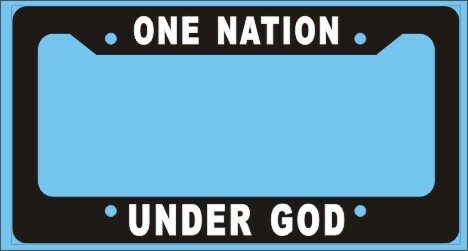 Full color full size license plate frame with wording "ONE NATION UNDER GOD".UV resistant made of Space Age Fiberglass. CALL TAG Size 2 X 3 or 1.25 x 3 Custom Imprinted with Name and Call Sign. Comes with pin back.Leather Look Design.